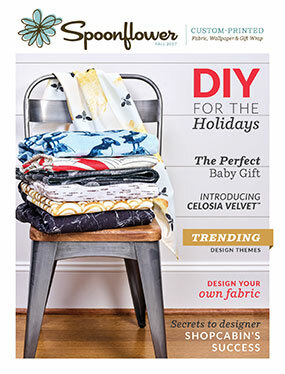 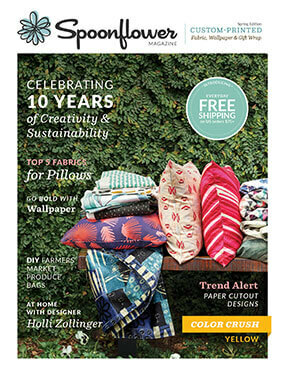 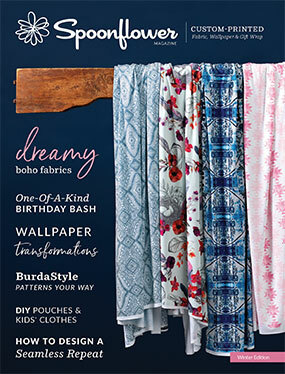 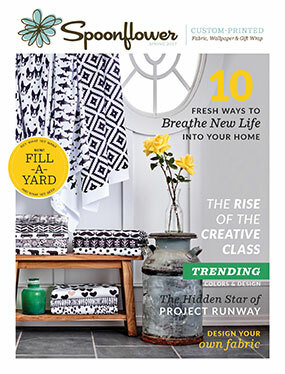 Spoonflower's seasonal magazine delivers easy DIY projects (plus free patterns), trending colors and design themes, and tips on how to personalize your life and home—all using Spoonflower's eco-friendly, custom printing process. 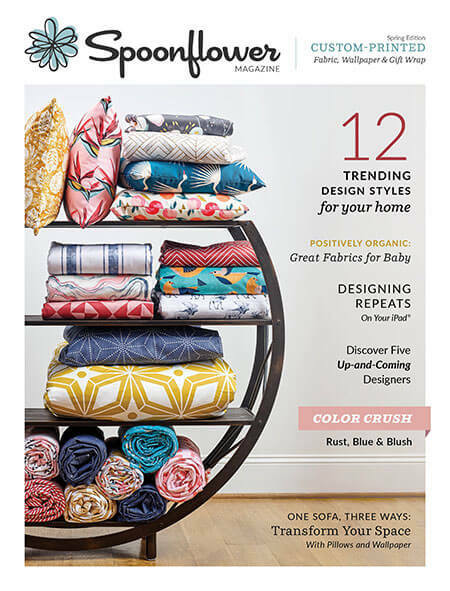 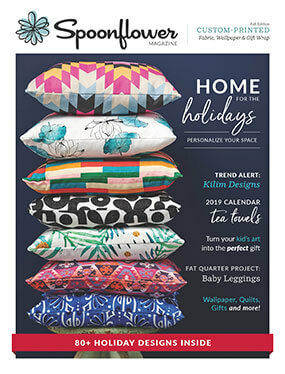 With 300+ surface patterns from 150+ designers in each issue, you'll discover inspiration here that you won't find anywhere else for entertaining, kid's rooms, apparel, home décor and more. 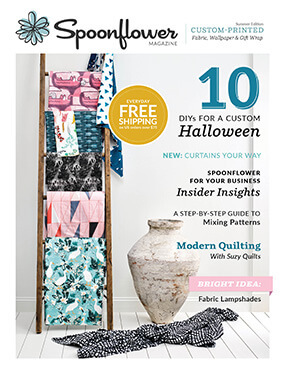 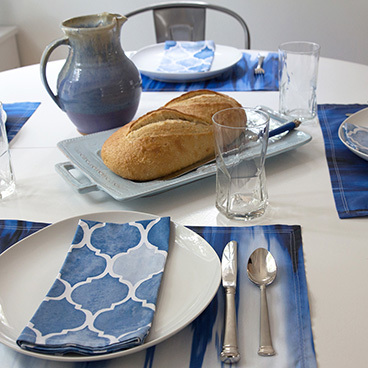 Anywhere you see product info, click it and be taken to the associated purchase page on Spoonflower or our sister brand Roostery.